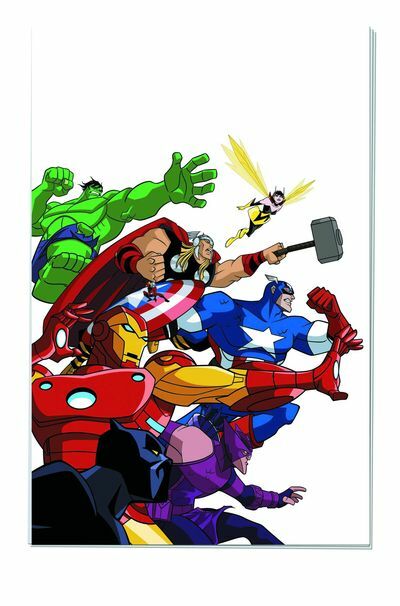 Avengers: Earth’s Mightiest Heroes – ‘Acts of Vengeance’ | The Daily P.O.P. 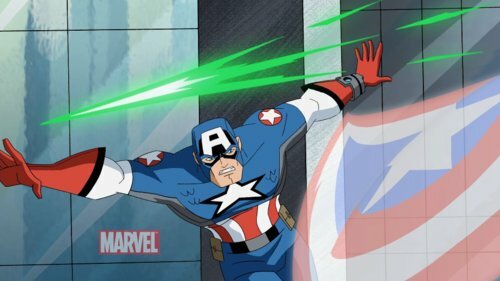 The Avengers cartoon continues to impress with its inter-connected stories that develop an epic-scale adventure that would do the Mighty Marvel Bullpen proud. In the comic book series, back in the day, it was not unusual to witness seeds laid throughout several issues that would harvest a massive event. In much the same way, the Avengers animated series mimics this structure with stories that delve into the past year’s Masters of Evil/Asgard tale and connect into the current Skrull invasion arc. 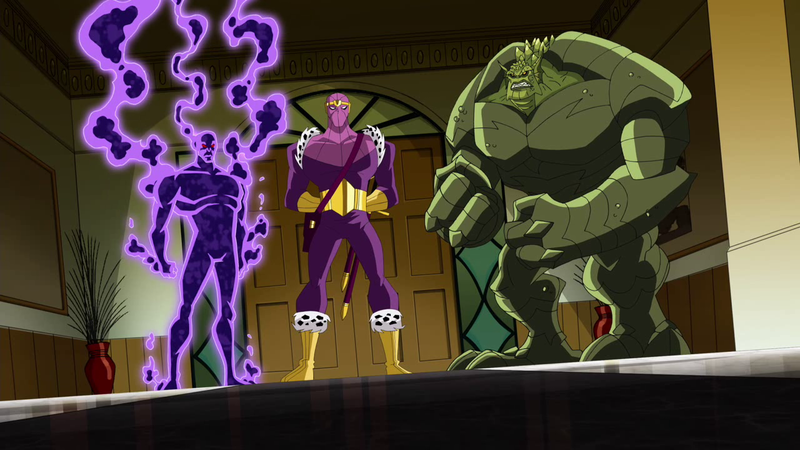 Last year, Baron Zemo allied with the Enchantress and the Executioner along with several other villains to form the Masters of Evil. Backed by an army consisting of Asgardian might along with the Abomination and others, Zemo collected the mythical Norn stones and struck at the heart of the Avengers. Realizing that she held far too much power, Zemo betrayed the Enchantress and was later defeated by the Avengers. Well… the Enchantress is back for vengeance and she is striking out at everyone who ever associated with the masked super villain. Alongside the Enchantress’ mission to take down each of Zemo’s associates, the Avengers are coincidentally attempting to round up the Masters of Evil. In each instance, they arrive just after she has left her mark; the Living Laser is found stuck in fluid light form, Chemistro is a solid gold statue, even the mastermind Arnim Zola is in bad shape. In some ways this is good news and Hawkeye sees it as a reason to celebrate, but Iron Man and Black Panther are less comfortable with the possibility that someone else is attacking these foes with such force. When Baron Zemo arrives in the Avengers Mansion asking for help, it becomes clear just how bad the situation is. Backed by the Abomination and Wonder Man, Zemo is nevertheless powerless against the Enchantress and figures that with the Avenger Thor on his side, he’ll stand a better chance of living through her attacks. 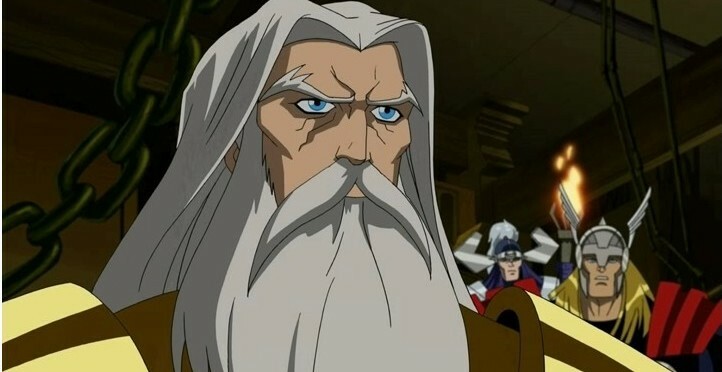 Unfortunately, Thor is in Asgard, where the Twilight Sword is nowhere to be found. Odin, Baldur and Thor realize with much shock that the fire giant Surtur is freed from his prison… which is bad news for everyone. Back at Avengers HQ, Hulk and Hawkeye agree that they should just smash Zemo and the Abomination, but again Iron Man and Black Panther realize that Zemo has left a trail straight to them, so they are involved whether they like it or not. Fortunately, Tony Stark has developed a ‘magic dampener’ which should give the team an edge when the Enchantress arrives, but in the meantime, Iron Man is determined to intercept the two magical menaces who have followed a trail left by Zemo to the Crimson Dynamo, who he expects to sacrifice himself for a greater cause. It’s interesting to see Zemo casually discuss tactics and leadership with Stark who rushes off with Hawkeye to give Crimson Dynamo some much-needed assistance. While they are gone, Zemo attempts to goad an unusually quiet and stoic Captain America by insisting that he operate the machinery that will protect Zemo from the Asgardian magic. When the chips are down, Zemo faces the Enchantress, sure that Cap will activate the magic dampener in time to save him, but the patriot seems more than happy to watch the villain squirm. At the final moment, the device goes into effect and the team lashes out. When Zemo reveals that he had secreted away a final Norn stone and attempts to kill the Enchantress, Wonder Man intercedes and all Hell breaks loose. There is a tear in reality and the Enchantress disappears. Earlier in this story, Black Panther had attempted to appeal to Wonder Man’s moral standards, and apparently he somewhat succeeded, but at a price. In time, maybe Simon Williams will be a full fledged Avenger. Still groggy from the explosion, Zemo awakens to find Captain America hovering over him. He had misjudged the star spangled avenger, he has changed. In fact, he isn’t Captain America at all, or even human. In last year’s conclusion, viewers saw a Skrull Captain America reporting back to his commander that he had infiltrated the Avengers. With an enemy in their midst, how can they defend the planet from the oncoming invasion? I honestly had very low expectations from this episode, feeling that it had little to offer, but in the end it was quite good. With the shifting of focus from the Enchantress to Thor and even to Crimson Dynamo, Iron Man and Hawkeye then returning to the team, this really felt like a larger than life story crammed into twenty plus minutes. 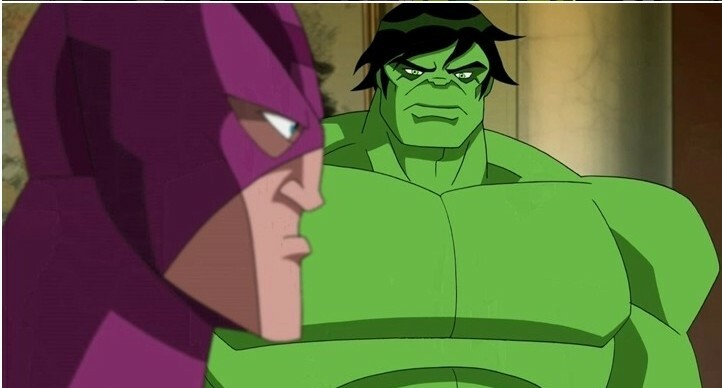 Very sadly, it seems that the Avengers cartoon may end with this season as newly appointed Marvel Animation leader Jeph Loeb will be revamping the cartoon into another program that it similar to the 1980’s style and less reliant on story arcs. It will apparently be part of the same universe as the new Ultimate Spider-Man cartoon… which is even sadder news. Is this a sign of the much feared Disney-ification of Marvel or just a coincidence? It’s hard to tell, but the Ultimate Spider-Man cartoon has hardly fared well and is a very poor cousin to the Spectacular Spider-Man series that preceded it (available on DVD). The voices of support for Avengers are very loud and Marvel Animation needs to listen. This is a great cartoon that mimics the experience of following a monthly comic book. It’s also a great in-road to those interested in the characters but unwilling to explore the print medium. In addition, it delivers so much fun for long-standing fans who know each iteration of the Masters of Evil and the story of the Cosmic Cube. It’s as near to perfect as you can get. Please, don’t let this cartoon get the ax. 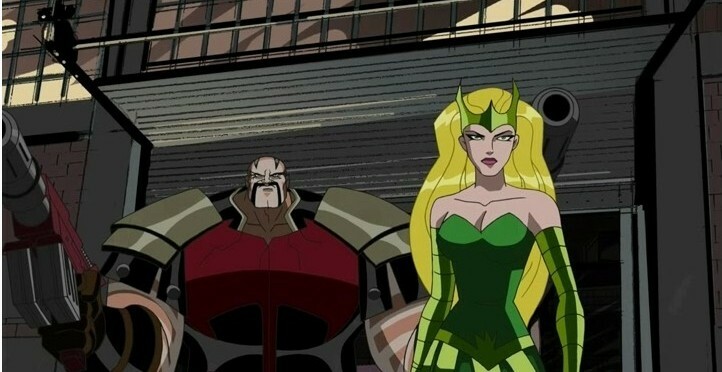 This Post was posted in Avengers: Earth's Mightiest Heroes and tagged avengers earth's mightiest heroes, avengers marvel, is the avengers cartoon cancelled?, Jeph Loeb, marvel animation. Bookmark the permalink. My biggest annoyance with this episode was the name. Since Acts of Vengenace was the name of a major story arc in Marvel comics where villains teamed up and exchanged heroes to fight. And this had little to do with anything like that. I hadn’t been watching the Disney Marvel stuff since Dish Network dropped the HD feeds of several Disney channels… but wanted to watch Ultimate Spider-Man. It isn’t awful, but it isn’t as good as the previous Spectacular Spider-Man series. I also noted… the Marvel block on Sunday morning plays very much like the DC block on Saturday (GL and Young Justice in the DC block)… all the way down to funny intermission cartoons and real-world demos of comic hero accessories. So… who copied whom? Is DC copying Disney or did Disney copy DC?